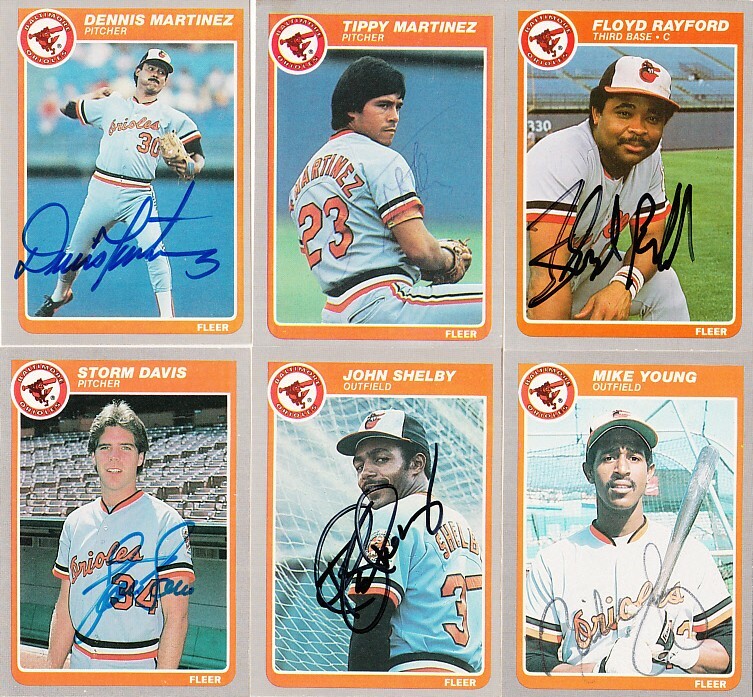 Lot of 6 different Baltimore Orioles 1985 Fleer baseball cards autographed in various pens: Mike Young, Floyd Rayford, Storm Davis, Dennis Martinez, Tippy Martinez and John Shelby. Obtained in person, with certificate of authenticity from AutographsForSale.com. ONLY ONE LOT AVAILABLE FOR SALE.